What are the video and audio formats can be played on iPad mini? Will the newly released iPad Mini 5 in 2019 add support for HEVC/H.265? 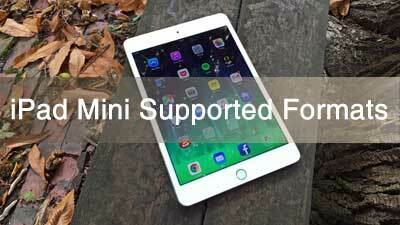 Read this article to get the full list of iPad Mini 5/4/3/2 supported formats. Apple hasn't make any update on iPad Mini since the iPad Mini 4 introduction in 2015. 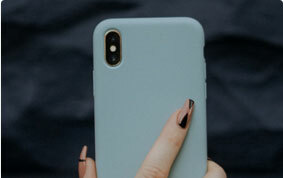 But recently there are rumors that a new iPad mini (iPad Mini 5) equipped with an upgraded processor and a lower-cost panel is coming in March 2019. 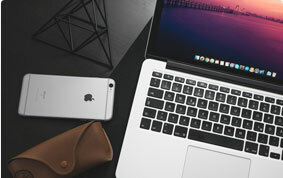 It'll be superb for watching videos, movies since the advanced A11 chip and Retina display. But sometimes it is not so fantastic to play transferred videos on iPad Mini 5, as the video file format is not always supported by iPad Mini. While limited iPad Mini supported formats isn't a deal-breaker for you, if you know how to use a video converter for iPad Mini. MP3 VBR, MP3 (8 to 320 Kbps), AAC (8 to 320 Kbps), Protected AAC (from iTunes Store), HE-AAC, Apple Lossless, AIFF, and WAV, Audible (formats 2, 3, 4, Audible Enhanced Audio, AAX, and AAX+). Video format: H.264, MP4 up to 1080p, 720p for airplay to Apple TV (3rd generation), and up to 720p to Apple TV(2nd generation). Audio format: AAC and MP3. 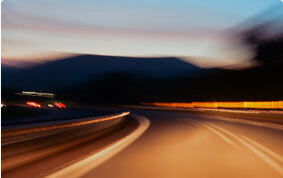 Some HD video from camera or video recorder, and downloaded videos movies are in MKV, FLV, MTS, M2TS, AVI, VOB, etc. and these formats are out of the iPad Mini video formats list, in such case, the video need to be converted first. 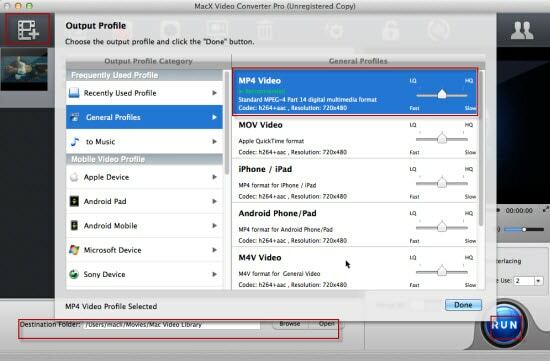 MacX Video Converter Pro can convert SD HD 4K video of MKV, FLV, MTS, AVI, AVCHD and more to iPad Mini supported video audio formats, and video audio format for airplay, MP4, MOV, M4V, MP3, AAC, etc. with zero quality loss and 83× faster speed. It is also able to convert video to iPad Mini 5, iPad Mini 4/3/2, iPad Pro/Air 2, directly. Step 1: Free download the iPad Mini video converter and run it on your computer, Click "Add Files" icon to load the video file for iPad Mini. Step 2: Choose the best video audio format for iPad Min, MP4, MOV, MP3, or AAC, etc. as output video audio file format. Step 3: Click "Browse" button to select a folder to save the converted file for iPad Mini. Step 4: Click "RUN" button to start converting HD SD MTS MKV FLV etc. video to formats accepted by iPad Mini. 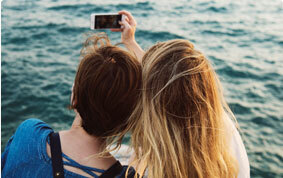 The best video converter for iPad outputs original video quality. Yes, you can watch movies on DVD on iPad Mini, including protected DVDs, Marvel's Venom, Green Book, Frozen 2, Aladdin, to name just a few. 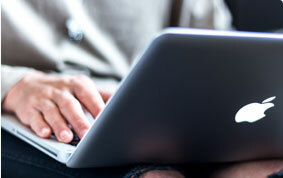 All you need to do is download a DVD decrypter ripper, MacX DVD Ripper Pro. It can bypass any DVD copy technology, Region Code, Disney DRM, UOPs, Sony ARccOS etc. and 1:1 copy the DVD to iPad Mini friendly video format. 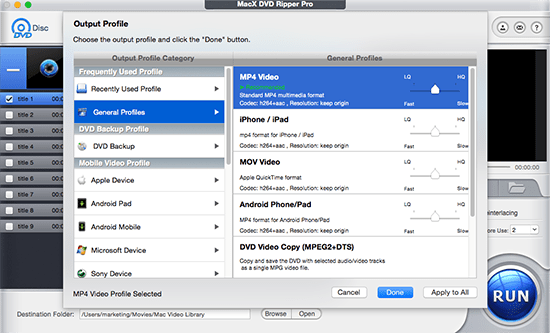 It has clean interface, fast ripping speed and snappy performance, follow the guide below to learn how to copy DVD to iPad Mini recognized video formats. Step 1: Free download the DVD ripper for iPad Mini and launch it. Import the DVD disc to your computer drive, click "DVD Disc" icon to load the DVD file. Step 2: To copy DVD to iPad Mini readable video formats, choose iPad Mini 4 as output format from "Apple device" category, or "MP4 video" or other formats supported by iPad Mini. Step 3: Click "Browse" button to select a folder to save the output movie video file in. Step 4: Click "RUN" button to start rip DVD to MP4, or other best format for iPad Mini 4/3/2.